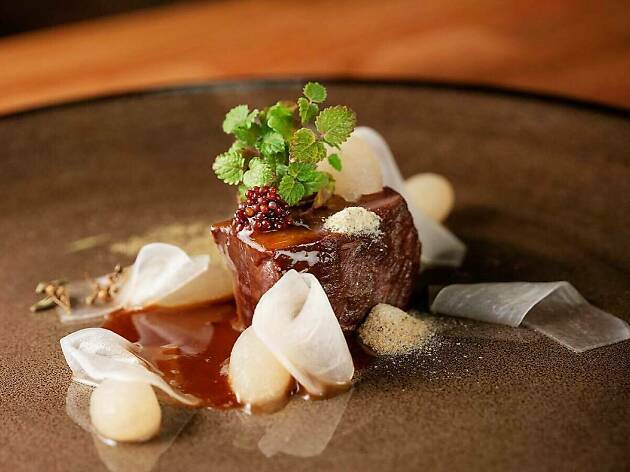 Taking inspiration from the beauty and nature of Savoie in France, native herbs from the area are flown in and crafted into every dish on the menu by Chef Jeremy Gillon. Come in with an open mind and the mood to be inquisitive as you delve into surprising new flavours. 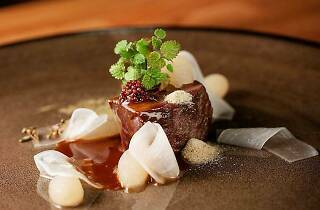 Think a green apple sorrel sorbet with smoked eel and foie gras and a dessert comprising of pumpkin in all its forms – you can sample some of these dishes through the five- ($98), seven- ($168) or ten-course ($218). For the full experience, opt for wine pairings with every dish and if you want to continue the drinking sesh, head up to the bar area for some cocktails peppered with herbs from Savoie as well.